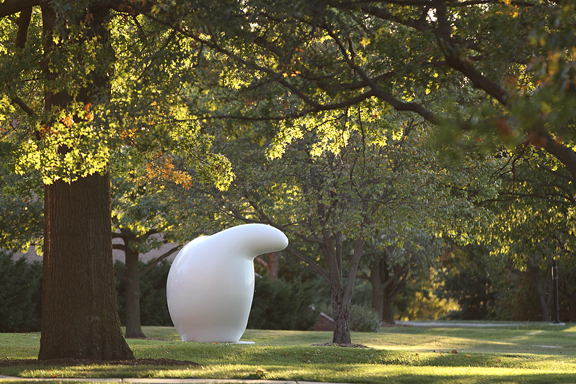 The Martin H. Bush Outdoor Sculpture Collection, part of the Ulrich Museum of Art collection at Wichita State University, is a finalist for the 8 Wonders of Kansas Art because it has one of the most significant collections of sculpture on a U.S. college/university campus. In 2006, Public Art Review, the world's leading journal devoted exclusively to the field of contemporary public art, named the Ulrich Museum's campus sculptures as one of the top ten campus sculpture collections in the nation. 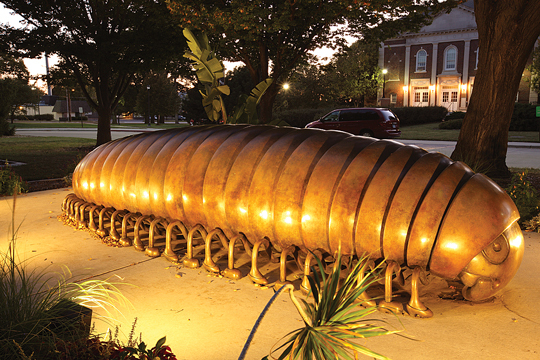 The outdoor sculpture collection boasts 75 monumental works spread across the 330-acre WSU campus. In 34 years of operation, the museum judiciously developed a collection with exemplary work by Henry Moore, Joan Miro, Claes Oldenburg, Barbara Hepworth, Auguste Rodin, and Luis Jimenez. In 2004, the Ulrich Museum commissioned for WSU internationally known sculptor Andy Goldsworthy to create "Wichita Arch," made of more than 40 tons of Flint Hills limestone. The newest addition to the sculpture collection is by nationally recognized sculptor and Wichita native Tom Otterness. Located on the campus of Wichita State University, the Ulrich Museum of Art, a non-profit organization, is the premier arts organization devoted to modern and contemporary art in the largest metropolis in Kansas. The museum has amassed a nationally significant collection of 6,000 works by such notable artists as Robert Henri, Milton Avery, Alexander Calder, W. Eugene Smith, and Edward Weston. Hours: Outdoor sculpture exhibition is always open. Gallery hours are Tuesday-Friday 11 a.m. to 5 p.m. Closed Mondays and major/university holiday. Admission is free. Photos by Harland Schuster for KSF.